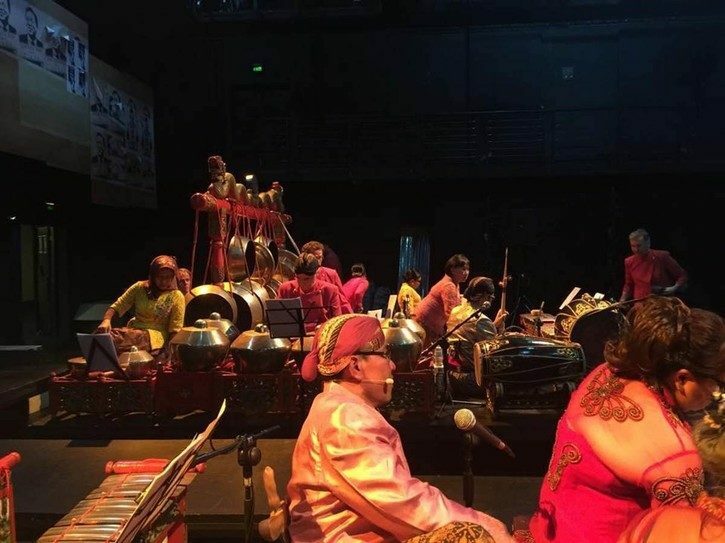 Traditional Arts Master Brings A Mixture Of Theatrical Elements In "Sacred Sita"
Gamelan Sekar Laras (GSL) is an Adelaide-based community gamelan group that has been playing together at Flinders University since the mid-1980s. Like any gamelan group, GSL’s members come and go, and numbers at weekly practice also vary depending on the time of year, the weather, personal commitments, and whether there is a new show around the corner. With no gamelan teacher resident in Adelaide, GSL has from the beginning been fortunate to have drawn on the expertise of visiting teachers and performers. GSL promotes gamelan performance and education not only through its school outreach program and through recruiting and training new members from various backgrounds, but also by supporting Indonesian music and culture studies at the university. Its permanent home is the university’s Pendopo, a purpose-built Javanese-style pavilion that serves as both a teaching space and performance venue. The instruments are often moved to larger venues, such as to the Adelaide Festival Centre, for special occasions. GSL’s performance last year at the Adelaide Festival Centre of Sacred Sita for the OzAsia Festival represented a new level of collaboration with Indonesian performing artists. On this occasion, GSL was led by Anon Suneko, assisted by his wife A. R. Swastiastuti (Ias), a classical dancer trained in the Yogyakarta palace. They engaged and inspired the audience with a new dance-drama involving an innovative treatment of the traditional elements and structures of classical Javanese music and theatre. Anon Suneko was born in Bantul, near Yogyakarta, Central Java. 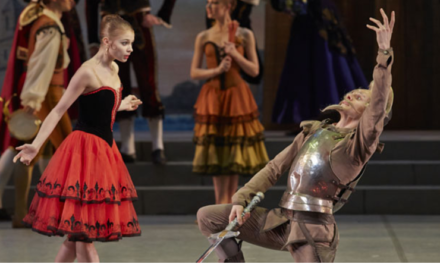 Growing up in a family steeped in the traditional arts, he applied himself early to traditional music and dance, quickly gaining a wide variety of performing arts experiences. He brings together a deep commitment to Javanese classical dance and music and an ability to adapt contemporary styles, fusing diverse elements in his musical compositions for gamelan and other ensembles. Anon’s artistic talents include vocalist, drummer, arranger, and composer of new styles of music, and events organizer, recently hosting 40 gamelan students from the Indonesian Institute of Arts (ISI) in Solo to study Yogyakarta’s style of music in the family-run center in south Bantul. His CD, Tembang Rerantang, reflects his ability to create unique fusion musical arrangements. Anon’s dance studio, Omah Gamelan, which began in 2012 and was officially inaugurated by the Bantul District Head in his home village in 2015, is active in preserving traditional arts through gamelan classes, popular folk dances, shadow plays and a focus on teaching young people. Nathan, Anon, and Ias’s nine-year-old son plays saron (metallophone), bonang (racked gongs), and is learning kendhang (Javanese drums), while their other children Dhammaee and Bhumee learn dancing. Nathan’s parents hope that one day he will become a puppeteer, like his great-grandfather. Sending Nathan to live with Anon’s father to train in music and puppetry shows the importance Anon places on the transmission of traditional arts. A lecturer in the Gamelan Music Department at the ISI Yogyakarta, Anon has won many awards as a composer, arranger, and music director in competitions in Yogyakarta and Jakarta. These include best young composer, best drummer, best dancer, and best musician. He has participated in cultural missions and performance tours to Germany, Singapore, Australia, China, Japan, Taiwan, the Netherlands, and the USA. Both Anon and Ias come from families with impeccable traditional performing arts backgrounds and are committed to carry on these traditions. Ias herself, following in the footsteps of her mother, Theresia Suharti, trained as a dancer in the Yogyakarta palace. Suharti is a well-known dancer and teacher, who has studied and helped re-create a famous Yogyakarta palace dance, the Bedhaya Semang. 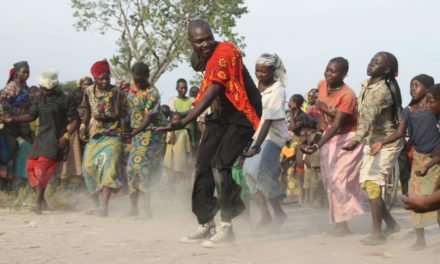 Her study of this dance and how it was revived became a doctoral dissertation later published in 2015 by Kanisius Press. Ias’s father, the late Soedarsono Mangkuwinata, was head of the Javanese krawitan (gamelan instrumental and vocal music) department at ISI, where he taught Anon’s father, Pak Trushto, who also later became a departmental head. It was an episode from the Ramayana epic, popularized in forms such as the Ramayana ballet performed near Prambanan temple outside Yogyakarta, that Anon chose to present at the OzAsia Festival 2015. But here the very familiar ending of the story, in which Sita, the wife of the hero Rama, is kidnapped by the giant king Rahwana when rescued and reunited with her husband, must undergo a trial by fire to prove her faithfulness, is told in a new way. Shadow puppetry and dance, the two performance media through which the epic has traditionally been performed, are combined together. The gamelan orchestra plays in novel ways and there are new moral nuances. Anon says that the dance-drama unites four artistic elements: dance, gamelan, puppetry and music. These four elements were crafted in such a way to convey the Ramayana message as a contemporary dance-drama performance and as a collaborative performance by artists from Indonesia and Australia. Sacred Sita used the pélog (seven-tone) half of the orchestra, arrayed in two sections before the puppet screen leaving a passage-way from the dance area at front of stage to the screen at the rear, thus allowing Sita as a dancer to connect with her other self as screen shadow. 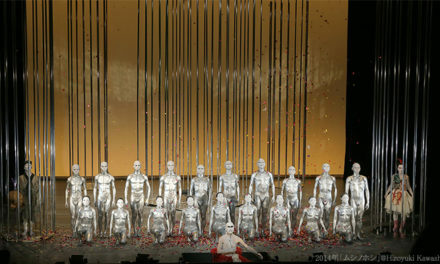 The puppeteer stood behind the screen, on the opposite side to the orchestra. A shimmering crescendo on cymbals leads to a vigorous rising bonang pattern counterpoised by a bold trombone melody. The whole orchestra then joins in, representing all-out war between the two armies. This tumult is punctuated by quieter one-on-one encounters in which Rahwana taunts Rama, while each member of the orchestra waves a puppet from either one of the two armies. There is another crescendo rushing to a loud final crash announcing Rahwana’s defeat and death. This clears the way for the main part of the story. Sita has been rescued and performs on stage a slow dance, recounting her ordeal through song. The bold sekatèn (night fair) style of music, introduced by the bonang, sets the scene for Sita and Rama to be reunited. But all is not well: while she may have re-joined her husband, Rama has doubts about her fidelity. The music moves to the soft style and through achingly beautiful motifs, supported by deep reverberating gong tones, Sita’s anguish is masterfully expressed. Through song and monologue Sita pleads her case. On-screen flashbacks support her account, showing her capture and Rahwana’s many unsuccessful attempts to seduce her. The screen introduces another heroine, Trijatha, a member of Rahwana’s court appointed as Sita’s guardian. Trijatha leaps to Sita’s defense when Rahwana, out of frustration, moves to kill her. Rama is close to resolving the matter in his mind as the music shifts to the uplifting pélog barang mode, but still he wants it demonstrated publicly that Sita is pure. He sings the emotionally charged ‘Yayi Sinta, lamun nyata suci …’ (Sinta my love, so you really are untouched …), leading to an intense sampak piece during the ordeal by fire. Sita emerges unscathed and approaches the screen to merge with her shadowy other self. The music moves from the soft and contemplative piece Ketawang Suci, to the finale, the loud and triumphal Ladrang Gati Manggya. All is resolved. “My inspiration has always been firstly from my father and secondly from my guardian spirit, which also inspires my compositions. My guardian spirit gives me musical inspiration for both Western and Javanese traditional music. From junior high school I always listened to and memorized Western pop music. I did the same with traditional Javanese music. With my colleagues at ISI, usually one or the other (Javanese or Western) influence is dominant. But music for me is all spiritual.” Two musical events in Yogya recently suggest Anon’s acceptance of innovation, and at the same time the deep influence of his reverence for tradition. On a recent visit to Yogyakarta, Anon invited us to the ISI complex just south of the city to watch the second-year students’ compositions for the final performance component of their course. On this occasion friends and relatives could attend to listen. An audience of 50 or so students were in attendance – modern compositions always draw a much larger number than traditional music Anon told us. The first thing we noticed was two single rows of small bonang gongs, which instead of being suspended horizontally in two rows over a rectangular wooden frame, were arranged in a long row in a box called a réong, as in Balinese gamelan. They were tuned to the pelog scale. The two réongs were placed on top of a table waist-height outside the pendopo, where the other gamelan instruments were. Normally gamelan instruments are played with players sitting cross-legged on the ground. “Playing gamelan music standing up is traditionally considered disrespectful, but it depends on the music,” Anon whispered to me, smiling. It soon became clear why the two players were standing. This was fusion music and the players on double-bass and guitar stood behind the réong. It was explained that “students think when you go to a Western musical concert, the musicians are standing up because this is more attractive for the audience,” in contrast to gamelan music, where the sonorities are the main influence on the sensibilities of the audience. “In fact,” said Anon, “from the point of view of the musical character of the composition, it makes no difference whether the players are sitting or standing.” But whatever the musical character of the composition, Indonesian performers stand in order to resemble the Western bands they take as their model. There are many examples of traditional and contemporary forms in gamelan music and shadow plays in Java today. Not surprisingly performing artists also vary in the way they have embraced these new developments. 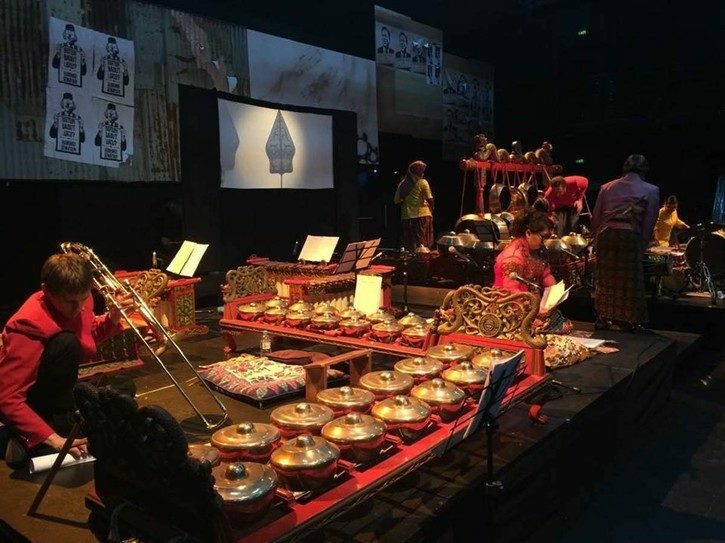 Through the OzAsia Festival 2015, a new presentation of the old story of Sita and Rama by Anon and Ias enabled Gamelan Sekar Lars members and their Adelaide audience to enjoy an innovative and enchanting performance. This article was originally published on http://www.insideindonesia.org. Reposted with permission. Read the original article.